It's just so refreshing (and so much fun) to watch Aiba Manabu since Aiba is my ichiban and learning is my favorite past time. I agree with you; it is my favorite solo show as well! 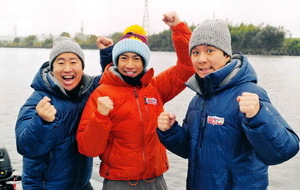 Also, Takahashi-san is right when he said that Aiba has gotten so much cooler recently!